HENT AS has been commissioned to renew the old dairy and the fire station in Bodø to a modern residential quarter. 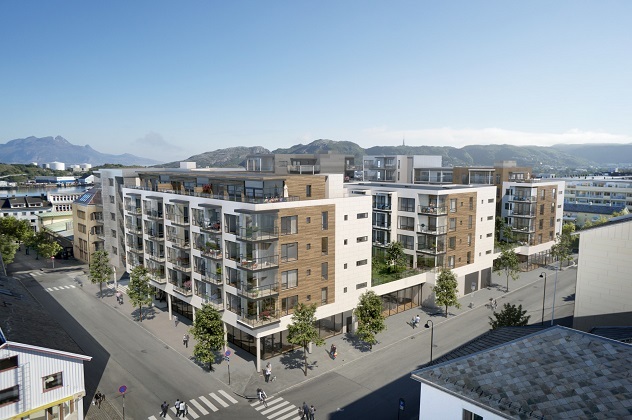 The project will consist of 104 modern and practical apartments and will be located in the middle of Bodø. Building stage 1 (Meierikvartalets borettslaglag) consists of a total of 66 apartments with associated common areas, both inside and outside. Building stage 2 consists of a total of 38 apartments. For this project, Jotne Ankers will supply handrails (type Ankers) and double handrails in 4 pieces. concrete stairs.